Perhaps Britian's finest psychedelic son, Pink Floyd became one of the world's premier rock bands by the end of the Seventies. Originally founded by acid casualty Syd Barrett, the Floyd rose to the top of the British Underground scene before guitarist Gilmour replaced an unpredictable Barret. However their extended instrumental jams, garnered further success, best trademarked by Gilmour's guitar and Water's songwriting. After the monumental "Dark Side Of The Moon" in 1973, the band released two more classics before the Water's-dominated "The Wall" in 1979, and eventual decay in the Eighties. "To mark 50 years since the tracks were recorded, Pink Floyd have released a limited edition set of two 7" singles, containing the band's first recordings. Entitled Pink Floyd 1965 – Their First Recordings, the songs include Syd Barrett compositions Lucy Leave, Double O Bo, Remember Me, and Butterfly, coupled with Roger Waters' Walk With Me Sydney, and I'm A King Bee by Slim Harpo. The band lineup was the original quartet of Syd Barrett, Roger Waters, Nick Mason and Richard Wright, augmented by Rado Klose on guitar, and, on Walk With Me Sydney, Juliette Gale on backing vocals. One of the 60s most underrated bands. From their badder than bad, raucous R&B early in their career, the band shifted gears in the underground, first with freakbeat then psychedelia. Their tenure at Abby Road, recording with Norman Smith, ranks as some of the greatest music created in Britain in the 60s. Yes, it really is that good. Named after the tabla player, Sam Gopal's Dream were regulars on London's underground, playing at the UFO, Middle Earth, etc. They later released one eponymous album which featured Ian "Lemmy" Willis on guitar and vocals. One of two Canterbury bands formed from the Wilde Flowers, Soft Machine's earliest days were in the psychedelia of London's underground of the late 60s. By Third however the band matured into one of Britain's finest jazz-fusion bands. After Robert Wyatt's departure in 1971, the band ventured further and further into a jazz-idiom, gaining members from Ian Carr's Nucleus along the way. Archival material on Cuneiform is highly recommended. Nik Turner-led band that includes Terry Ollis, Mick Slattery, Dave Anderson, Thomas Crimble and other Hawkwind stalwarts and all. With Pete Banks, Chris Squire as a core, The Syn were the pre-cursor to Maybel Greer's Toyshop (and Yes), releasing a handful of singles in the late 60s. The latter-day reformation was primarily a vanity project for Steve Nardelli, though the albums are of some particular note, as well as the controversy. Just in from The Bexley Brothers (Wally Waller and Jon Povey), The Pretty Things with Philippe Debarge will be reissued on September 1st, with new artwork, bonus tracks and remastering, on Snapper Records. Make no mistake, this is classic psychedelic Pretties, recorded in 1969 between S.F. Sorrow and Parachute records, and contains the suite "Peace," "Eagle's Son," "Graves of Grey," and "New Day." Everybody loves lists, myself included. 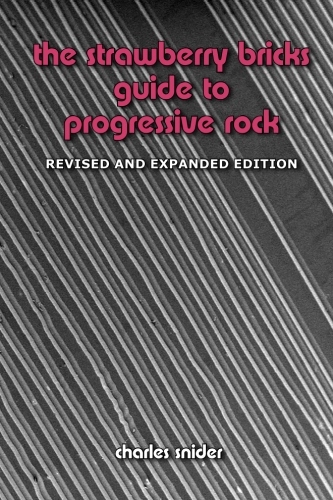 What are my favorite progressive rock albums? Here they are, do you have them all?